No makeup makeup is a powerful way of adding a modern edge to your colorful and bright party outfits, when you want to slightly tone down your look and make your overall appearance more balanced. It’s also an unmatchable makeup style for everyday wear, capable of making you look effortlessly cool, yet at the same time perfectly polished. Thanks to its youthful, versatile and timeless features, the no makeup makeup trend is the go-to style for women of different ages, tastes and preferences, whether they are getting ready for red-carpet worthy events or just want to look picture perfect on a daily basis. You still need to know certain makeup application tips to be able to embrace this chic trend best way possible. 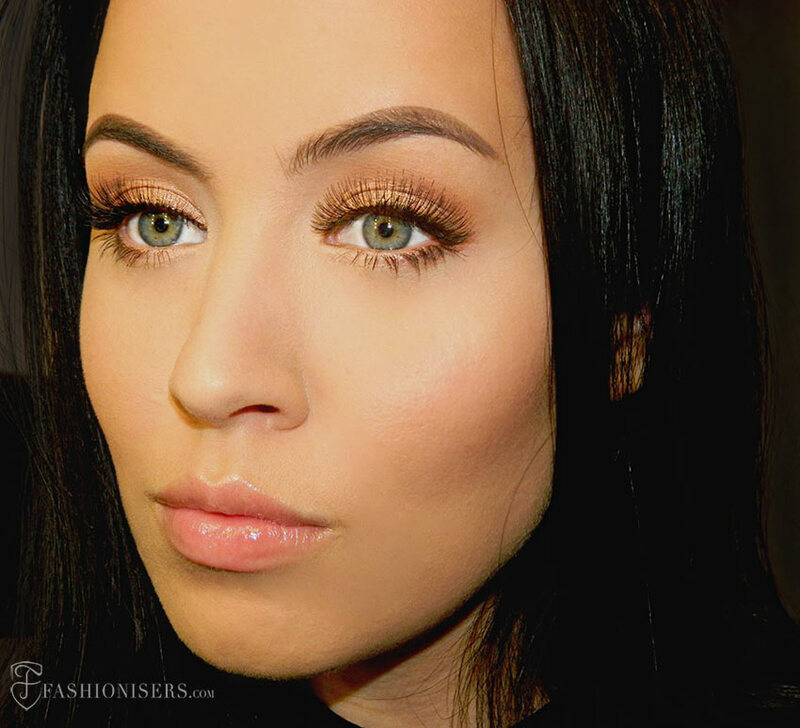 This easy natural ‘no makeup’ makeup tutorial can become your perfect guide for creating dazzling looks you’ll love to wear day in and day out! One of the common makeup mistakes most women make is going out completely bare-faced, thinking this way they are wearing the no makeup look. ‘No makeup’ makeup never means ditching all the makeup products, since you’ll definitely need to use lightweight textures and delicate colors to camouflage any small skin imperfections and to add that radiant glow to your face. Make sure you make the makeup your best friend every time you plan to walk out the door, since the correct use of it can make you the star of the party and the prettiest girl in the city! Minimalism always triumphs in fashion and beauty and gone are the days when you have to wear layers of foundation and multiple colors on your peepers to ensure your trendy and flawless appearance wherever you go. Just look through the recent red carpet events and you’ll see the definite comeback of the natural no makeup makeup trend, when makeup is used to enhance one’s beautiful features at the same time preserving her subtle and au naturale appearance. As you try the no makeup makeup look once, you’ll hardly want to switch back to the heavy makeup you used to wear usually. Step 1: The first and the most important rule of the no makeup makeup look is perfecting your skin and creating the most flawless base for your entire makeup. To make sure the makeup blends well with your skin, first wash your face and apply a soft toner. Tinted moisturizer can be your go-to product, when you want to create the most natural looks without trying too hard. The good thing about this product is that you don’t have to find the very exact shade for your skin tone unlike foundation, since it usually is sheer. You can go some two tones darker than your natural skin tone to warm up your complexion. And if you still can’t do without the foundation, make sure you use a lightweight option applying it over the makeup base for the most flawless look. Finally conceal any skin flaws using a pigment-rich concealer and use a small amount of loose powder to set your makeup. Step 2: When it comes to the blush, give preference to warm pink and peach tones, which should be applied to a smaller extent than you are usually used to. The cream texture will ensure the ideal naturally flushed look you want to create, so it’s a good idea to stick to cream blushes in this case. Step 3: The no makeup makeup look is all about accentuating powerful facial features and brows play really an important role here. So it’s a good idea to fill in your eyebrows, making sure you still keep them as natural as you can. Step 4: You still need to do some subtle eye makeup, so apply an eye primer on your peepers first (Too Faced Shadow Insurance). 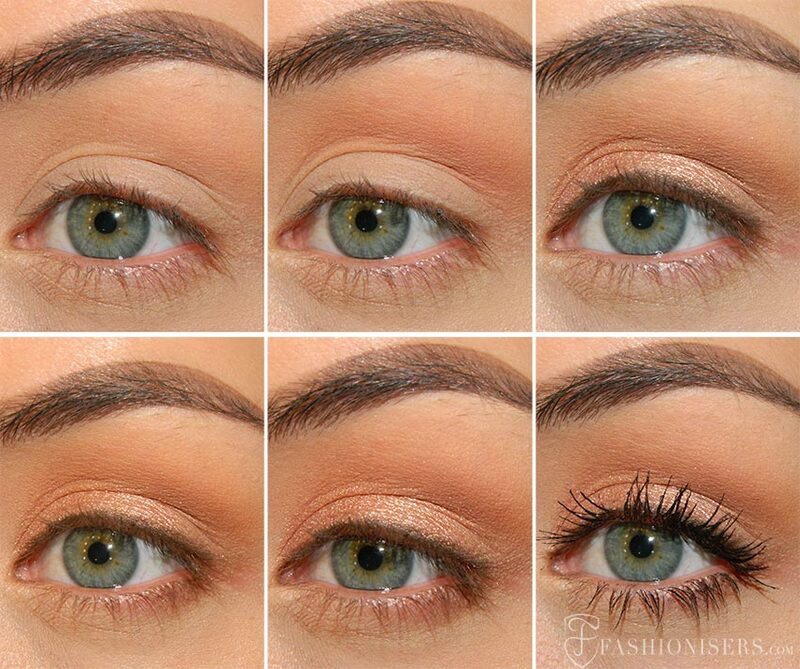 Then, apply a warm light brown eyeshadow to the high crease (Salted Caramel from Too Faced Chocolate Bar). Use a slightly darker brown eyeshadow with a matte finish in the socket (Milk Chocolate from the same palette) and then define the crease using a chocolate brown shade (Semi Sweet from the same palette). Step 5: Now, apply a shimmery tan eyeshadow all over the lid (Tan pigment from MAC). Close to the roots of your lashes apply a matte black eyeshadow, making the line as thin and delicate as possible (Noir from Anastasia Beverly Hills). Step 6: Define the outer part of your lower lid with the matte brown eyeshadow you have used on your upper lid. Step 7: Curl your eyelashes and apply a few coats of black mascara. 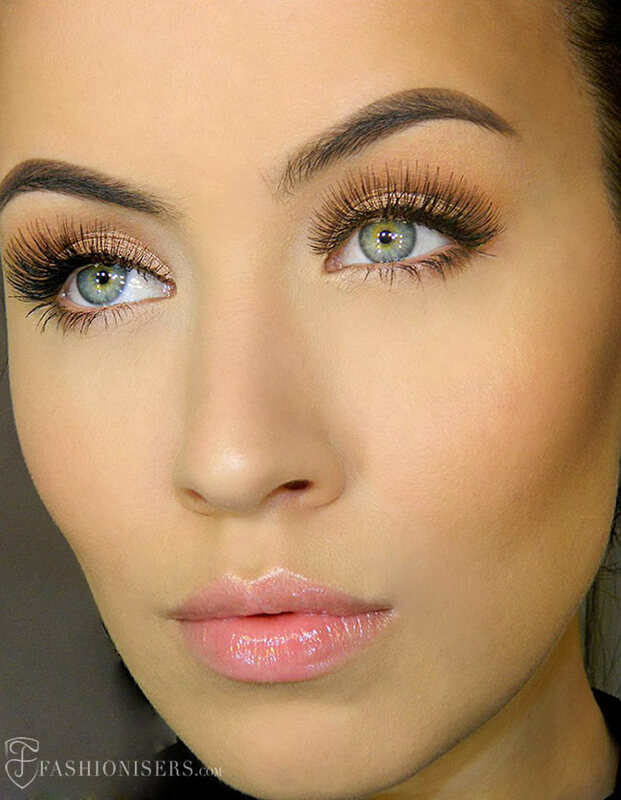 If you have short lashes, you can go for falsies to place the focus on your wide-open and beautiful eyes. Step 8: Last but not least, gently amp up your lips applying a neutral lipstick exactly in the same tone as your lips or go for a translucent lip-gloss or a lip balm. 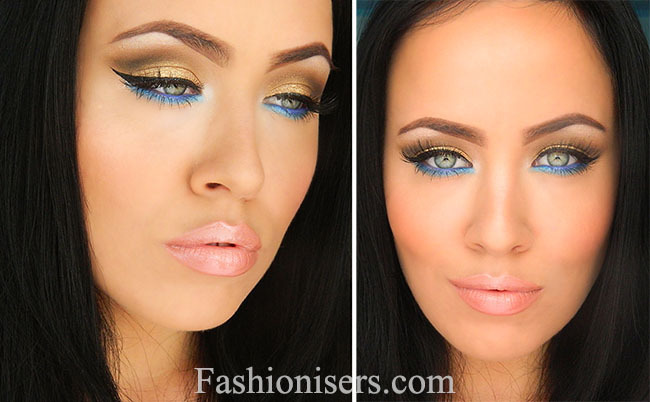 Wear this flabbergasting makeup look every day and you still can’t have enough of it! It’s versatile, beautiful and so delicate, being an ideal option to wear both in summer and in winter, when clubbing or strolling in the city with your friends.